ONLINE TICKET SALES FREEZE AT 2 PM ON THE DAY OF THE PERFORMANCE - TICKETS CAN STILL BE BOUGHT ON THE DOOR (AT THEATRE) FROM 6.30PM BEFORE EACH PERFORMANCE USING CASH OR CHEQUE. 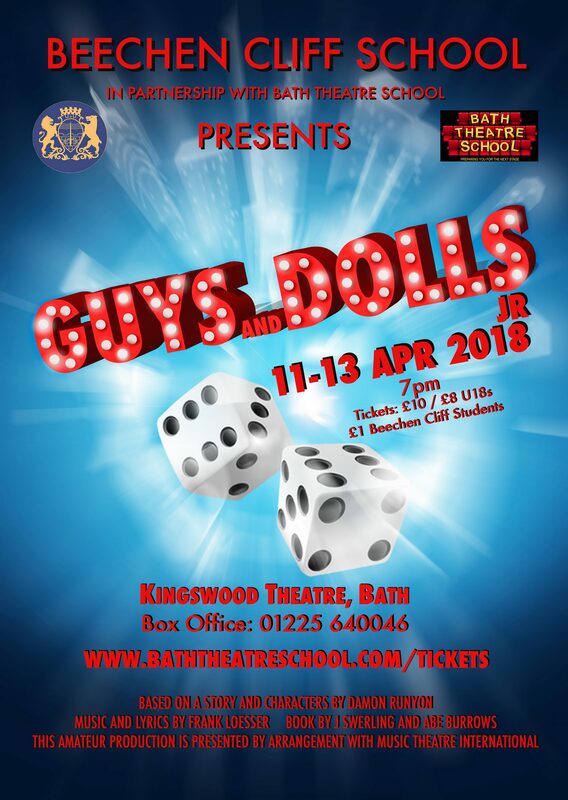 Not to be confused with your typical school production, the hugely talented students of Beechen Cliff School are working with Bath Theatre School to bring a professionally staged version of Guys & Dolls to Bath audiences. This spectacular show is packed full of the charm, comedy and romance and is one of the world’s best loved movies and features the wonderful songs Fugue for Tinhorns, Luck Be a Lady, Guys & Dolls and Sit Down, You're Rocking the Boat. With critics praising previous Bath Theatre School productions as a “visual spectacle”, which gave students “an excellent opportunity to utilise and showcase their training in a high-quality production,” make sure to get your tickets to see this brilliant show. All the best gamblers are in town, and they're all counting on Nathan Detroit to set up this week's incarnation of 'The Oldest Established Permanent Floating Crap Game in New York'; the only problem is, he needs $1000 to get the place. Throw in Sarah Brown, who's short on sinners at the mission she runs; Sky Masterson, who accepts Nathan's $1000 bet that he can't get Sarah Brown to go with him on a date to Havana; Miss Adelaide, who wants Nathan to marry her; Police Lieutenant Brannigan, who always seems to appear at the wrong time. This fun and energetic musical is packed full of toe tapping classics, including, Fugue for Tinhorns, Luck Be a Lady, Guys & Dolls and Sit Down, You're Rocking the Boat. 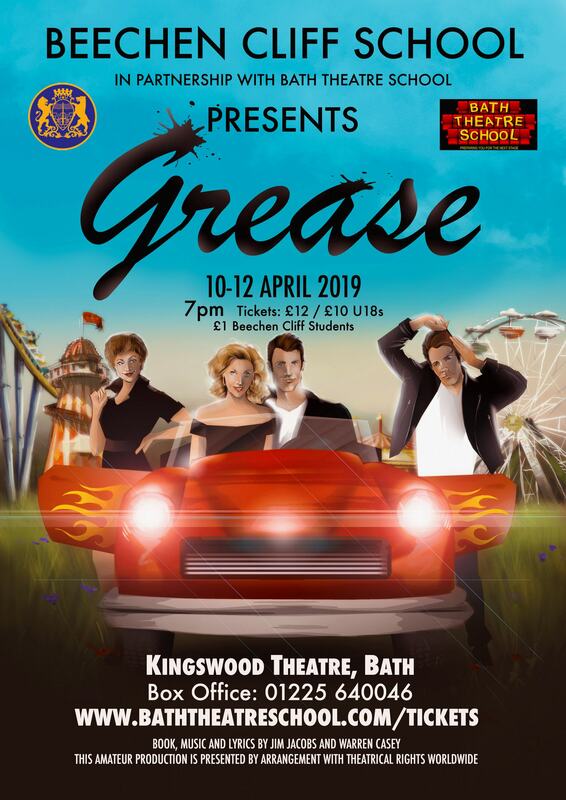 Not to be confused with your typical school production, the hugely talented students of Beechen Cliff School are working with the multi award winning Bath Theatre School to bring a professionally staged version of Grease to Bath audiences.